The feature comes as a relief for those that have multiple Fortnite accounts and are looking to bring their game under one roof. You can merge your Fortnite accounts into one. 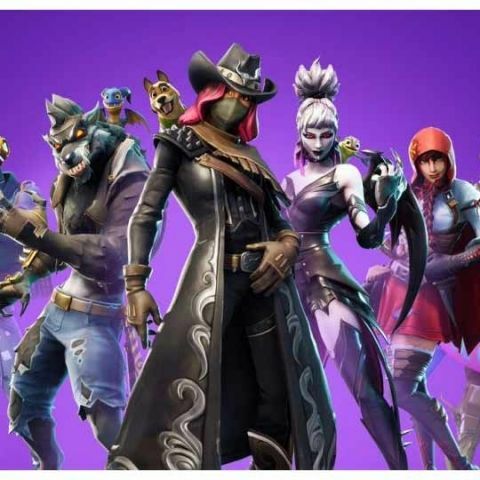 It will take up to two weeks for the V-Bucks and other items to reflect in your primary account. Sony finally brought multi platform cross-play to Fortnite in the fall of 2018. Until then, you needed one account for your PS4 and another for your Xbox or Switch. Epic, the creators of the Battle Royale game Fortnite have said that you can now unify your accounts into one primary account. The official Epic website reads, “Please make sure the account you wish to keep is selected as your primary account. By merging these two accounts you will be transferring v-bucks and items into a single linked primary account.” Lets understand the details of how you can merge your accounts and what you need to keep in mind. If you had a Fortnite account on any platform apart from the PS4, and wanted to use the same login on the PS4 (before Sony joined cross platform play party), you had to leave some money and progress behind. If you created an account after Sony joined cross platform play then you don't need to worry. This is for those that have multiple accounts and now want them under one roof. Just remember, you can only merge accounts linked to consoles - PS4, Xbox One and Nintendo Switch. Another condition is that you should have used the account atleast one before September 28, 2018. Epic’s account-merging feature combines your purchases and progress. You will have to choose one account to be your primary account and your other account as a secondary account. Once you have logged into epics website and deemed which is the primary account, you will be able to use that account on any platform. To merge your accounts, simply go onto the Epic website and follow the onscreen instructions. Merging accounts will transfer all your V-Bucks and other items like cosmetic items to the primary account. If you have played “Save The World,” you will also carry forward your account’s XP, Heroes, Llamas, Defenders, Schematics, Survivors, Evolution and Perk Materials. If you are confused as to which account should be your primary account then know this. There are certain things which cannot be transferred. This includes your Battle Pass and maps made in creative mode. If you have a Battle Pass active or maps that you have created that you’d like to keep, then ensure that you make the account with your Battle Pass as your primary account. Once you have merged your accounts, don’t worry if you don’t see your items or V-Bucks in your unified account immediately. Epic has said that it will take about two weeks for in-game items and V-Bucks to transfer from the secondary account to your primary account.